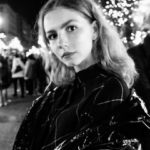 We had the honor of speaking to Lilia Poustovit, a woman described as the “Ukrainian Fashion Headliner”. 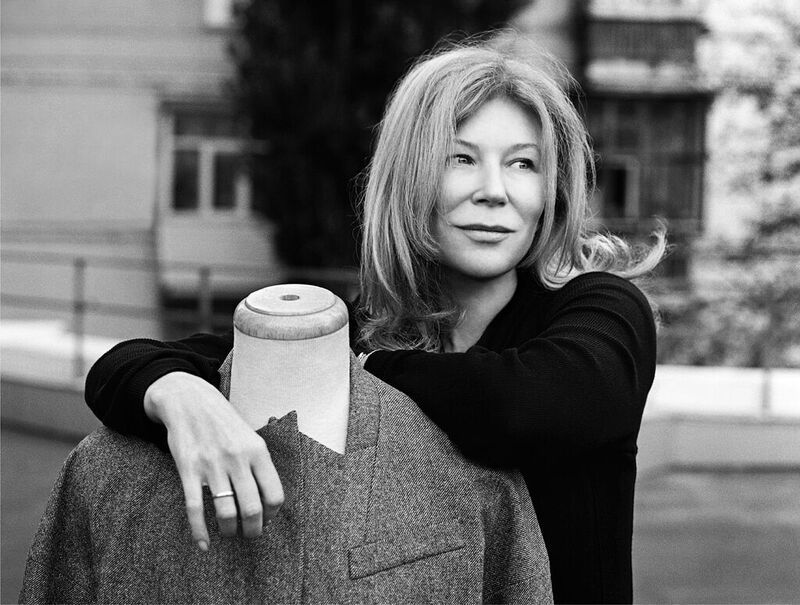 Being one of Ukraine’s premier designers, she shares with us her view on the growing Fashion Market, her support of young designers and her unique, expressive voice in design. Do you remember how the idea of your own brand POUSTOVIT appeared? Was there any particular event or person that inspired you to create it? I can say that Maria Ter Markarian inspired me to create my own brand. She was the only one from Eastern Europe who was featured in the first The Sartorialist. An absolutely unique woman, with the finest taste, beautiful speech, sense of humor, always perfectly dressed and with a very clear perception of everything that happens in the fashion world (she was an adviser of Ferre brand back in those years). We met at some event, and already then she gave me advice on creating own brand. For example, it is strictly forbidden to use someone else’s shoes on the runway, you must take at least some, but your own. She also gave me the idea to use Ukrainian ethnic details, because this is a very rich creativity – Ukrainian national clothes and scarves. In general, she helped a lot of Ukrainian and Russian designer. 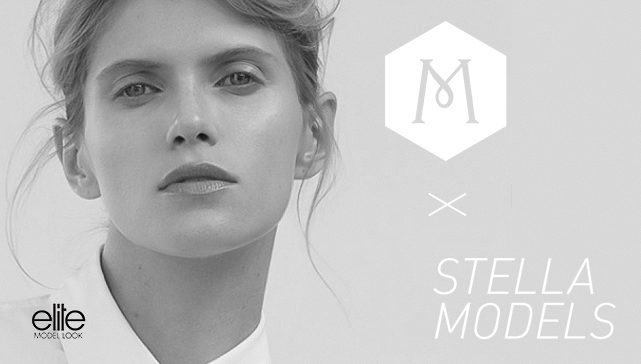 Now she lives between Moscow, Milan and Paris and works with Pitti. What was the first message that you wanted to express through the clothes? Did it change with the time? When I started, Ukrainian fashion did not exist on the world map, and I wanted to share world trends with the Ukrainians. Back in the days I traveled a bunch of times to Paris and London, and I really liked how people looked there, and it absolutely differed from the streets of Kiev. With the time the message has changed for sure because now there is no sense to teach someone doing something. In general, since that time the world has changed completely. Now the main thing is to find your source of inspiration and stick to it as much as possible, your individuality. Where do you get the inspiration for the creation of the new collections? I take a lot of inspiration from traveling. Some interesting ethnic countries, or some interesting events – performances, musical shows, theatrical productions with some interesting scenography. And of course music. You claim that the dress is a symbol and an iconic elect of your every collection. Can you tell us why? It is simple – because the dress is something that is extremely feminine and beautiful. Do you have any particular formula when it comes to the design of the new collection? It always turns out that when we make Spring-Summer collections we are permanently inspired by the sea, the seaside, some kind of breeze, something always easy. And when we are working on a winter collection, then more often we think about some parties, something bright and spectacular. You are one of the most successful designers in Ukrainian and your brand is also well-known worldwide. Is there any secret of this success? Do you have any conventional rules that you always follow at work? I associate the success of the brand with the team, and some team decisions, the synergy of different people, it is really very important, and in the past, I was more authoritarian in my decisions. As for the rules, “Never say never”. Over time I realized that it’s very important to change, not to stop. We need to move constantly, always be interested in something new, do not reject anything, even when at the first sight it is not entirely understandable solutions. Except for POUSTOVIT, one year ago you also established the new project SUPPORT by Poustovit that supports young talented designers. How did you come up with this idea? The idea to create SUPPORT by Poustovit appeared very naturally, as we previously used to work with Ukrainian artists (for example, with Pavlo Makov), but at some point, the concentration of young talented artists, stylists, photographers and other creative youth in Ukraine began to grow so fast. Those guys had a lot of very good ideas, but there was no way to broadcast them to the general public. That’s how we created this brand as a platform that supports the talented youth of Ukraine. The first collection was devoted to the native city of Kiev, in which this brand was born. The first video campaign we shot at the metro station, which was built on the Dnipro River that divides the city into two banks (that is why we have a print Left Bank and Right Bank). For the shooting, we just called the guys we like, those who hang out in the places where we used to go out. In several months you will represent you new collection Spring-Summer 2019 at the Ukrainian Fashion Week. Can you supply us with some of your plans for it? Which kind of conception do you want to follow this time? What, do you think, will the woman need for the next season? How can you, in general, describe Ukrainian fashion today? Maybe you can mark the things that influence Ukrainian fashion most of all? It seems to me that the Ukrainian fashion is very creative, I mean few of Ukrainian designers are focused on some kind of pure commerce. Everyone is interested in some kind of realization of creative ideas first of all. In this sense, Ukrainian design is closer to French and English design than to Italian. The Ukrainian fashion is influenced by our openness and sensitivity to what is happening in the world. It is very emotional and dynamic, it is quick to perceive all new ideas, global trends.